The International Boarding & Pet Services Association (IBPSA) provides business resources, training and accreditation, and legislative support for the pet care services industry. 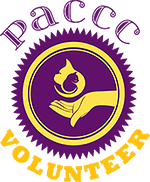 IBPSA members include the owners and employees of pet boarding facilities, groomers, dog walkers, and veterinarians. 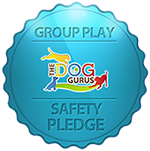 Bayside Bed & Biscuit has been a member of The Dog Gurus for three years and we have taken The Dog Gurus Safety Pledge. This means we made a commitment to design and operate our day care program for the safety of all dogs. We strive to ensure the physical safety of each dog with a goal for every dog to go home behaviorally and emotionally better than when they arrived. Follow The Dog Gurus on Facebook. The Professional Animal Care Certification Council (PACCC) is a 501(c)(6) non-profit created by a team of industry experts to recognize high quality providers and help them meet the challenge of educating pet parents on the value of a pet care provider’s investment in education and training. Our staff is trained and certified independently in Pet First Aid and CPR.